During the IVF India procedure the fertility expert will monitor the women ovaries and the timing of the egg release. The fertility expert will make sure that women ovaries produce the healthy and mature eggs, her hormone levels are normal. Most of the women take fertility medicines to stimulate the ovaries to produce one or more eggs. Having multiple eggs will increase the chances of conception. During this step in the IVF India procedure, the fertility expert will give the pain medication which helps to reduce any discomfort. After this, the fertility expert uses a thin needle which is passed through the upper vaginal wall. With the use of vaginal ultrasound, the fluid from the follicles is removed under gentle suction. After this process, the egg will be isolated from the follicular fluid and will be placed in a culture dish containing nutrient media and then transferred to the incubator. This is the important step of the IVF India procedure where a sperm sample is secured either from the recipient or from a donor and then the most active sperm is mixed with the women egg. The sperm and egg are then placed in an incubator and monitor to make sure that a healthy embryo develops. The final step of the IVF India procedure is the embryo transfer where the healthy embryo will be picked by the embryologist and will be transferred via the small plastic tube placed through the cervix into the women uterine cavity. After the IVF India procedure is complete, the fertility expert will advise the bed rest for around 24 hours. 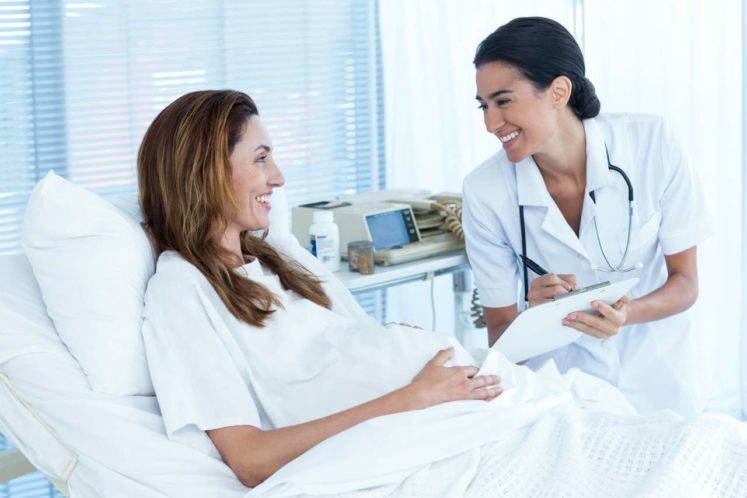 The pregnancy test will be conducted after the two weeks of the embryo transfer and if the results are positive then the pregnancy will grow as normal and the fertility expert will advise the women to avoid the hard exercises such as climbing, swimming, twisting, gym etc. In case, the first attempt of the IVF India procedure is not able to give the successful outcome then the couple can repeat their IVF cycle or can opt for other reproductive treatment to fulfill their dream of having an own baby. What are the IVF India procedure success factors? Age is the most important factor which can affect the success rates of the IVF India procedure as the couple grows older the chances of conception decrease because the ovarian reserve starts falling in women after their 30’s and in men after their 40’s. The use of egg donor with the IVF India procedure especially where the couple is over the age of 35 years they may have the higher success rate of pregnancy with the donor’s egg. The quality and the age of the egg donor is the most important factor which can help the couple to have their own healthy baby. The experience of the fertility expert. The live birth rate per cycle. The qualification of the other staff members. The pregnancy rates of the fertility clinic. The body weight of the couple also affect the success rates of the IVF India procedure as in both the cases the couple is over or underweight the chances of miscarriage is higher. So, it is advisable to maintain the ideal body weight. How much does the IVF Treatment India costs? The estimated cost of the IVF Treatment India is around USD 6,500 for one cycle and this cost will increase according to the IVF cycles required by the couples to achieve the successful pregnancy. If the couple compares the IVF Treatment India cost with other developed countries than they will find India is the most reasonable and affordable country for the IVF treatment and this is the reason that people in larger number travel India for their IVF treatment and take their baby home.